Previous post ← Does anyone else feel this way about Italy? Kathryn, this link goes to your blog homepage, do you have a direct link to this advanced Italian post? Sounds interesting and fun with the fill-in-the-blanks! Grazie.. Here is the direct link to my last post in this series: http://blog.learntravelitalian.com/speak-italian-a-story-about-love/ Hope you like it! My wife made two grain pies (Pastiere). I’ve been celebrating Easter with a slice for three days now. Who knew Pasqua lasted a week! Buona Pasqua! That’s how you roll when you’re made in Rome! 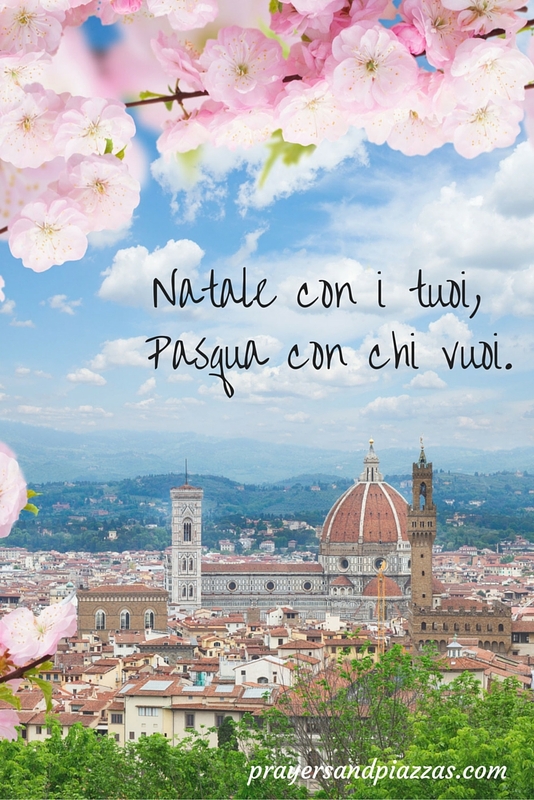 🙂 Buona Pasqua a voi! Love you too, cugina! Buona Pasqua! That site “Becoming Italian Word by Word” looks great. I began learning Italian a few years ago but being out of university now, it’s tough to keep it up. This will be a great resource! I hope you enjoy the site as much as I do! Thank you for stopping by here!